Your Emma is so precious! Hope you guys had a wonderful easter. These are just sooooo sweet! I swear Emma looks just like her Daddy. Her expression in the first photo is hilariously precious! 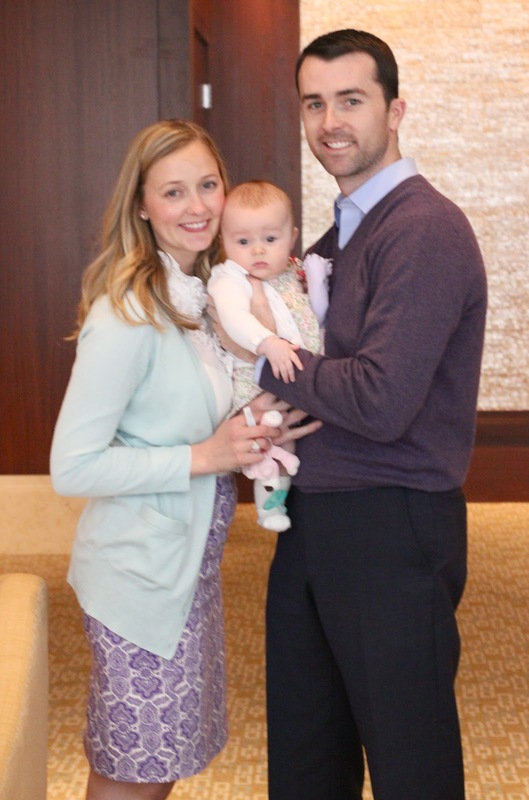 Beautiful baby, beautiful parents, beautiful fotos! I came via Williams Sonoma and think your blog is beautiful. I so admire people who can take pictures like these! Kelly- she does look just like her Dad! Their baby pictures are interchangeable! Emma is beautiful! What a special Easter with your little one. 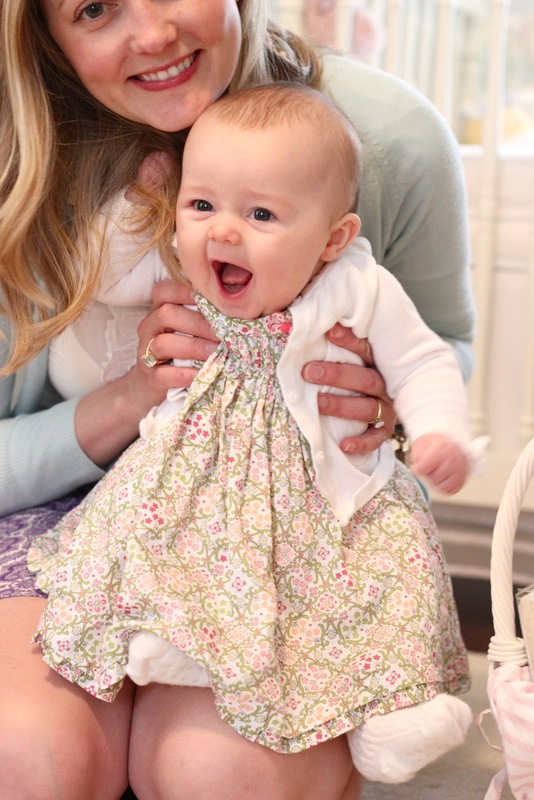 Her dress and Easter baskets are precious! Thanks for sharing. Happy Easter! What a beautiful collection of pictures. Love seeing your little sweetie in her beautiful nursery. Emma is soooo adorable! And you are just the cutest little family! Thanks for sharing! Would you mind sharing where your skirt is from? SO cute. It makes me remember my kids first Easter. Her dress is darlinh! Emma is ALMOST as cute as those bunnies.. OMG, I can't stand how adorable she is - just a lovebug. 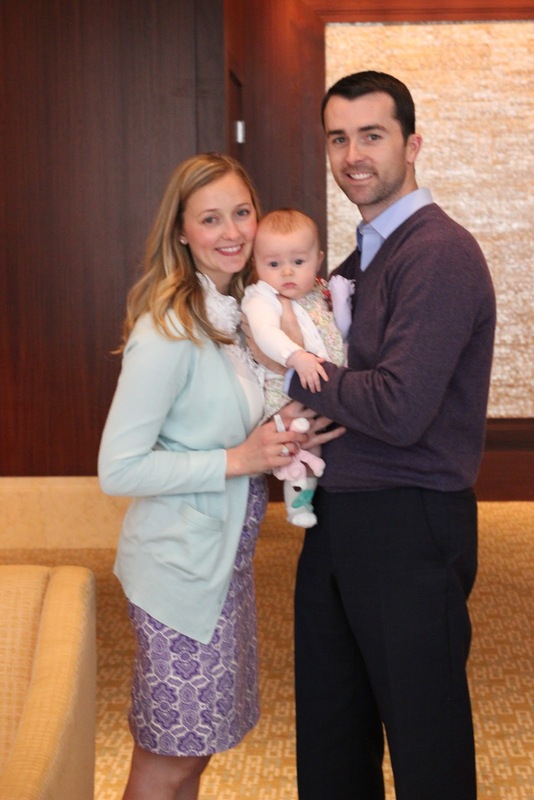 Looks like Emma's first Easter was great. God bless! Jenny, I'm a fairly new follower of your fabulous blog. Your ideas and presentations are fresh, inspiring, and doable. Thank you. 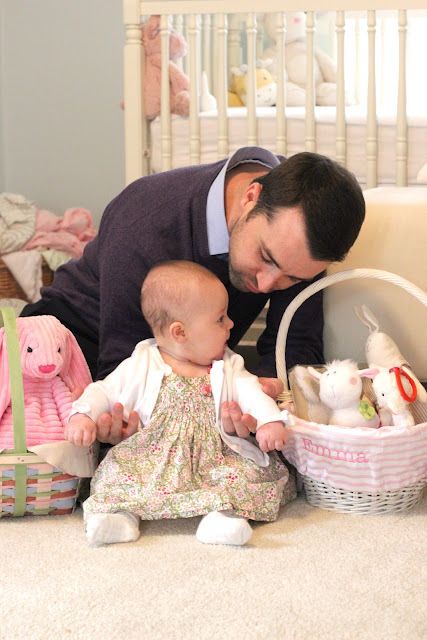 As a Longaberger Consultant I flipped when I saw the photos with you and Emma with her Longaberger Easter Basket. So sweet! I hope you don't mind...I shared it on my page: https://www.facebook.com/LongabergerLifestyle and credited you, and suggested that fans would pop by and follow your lovely blog.